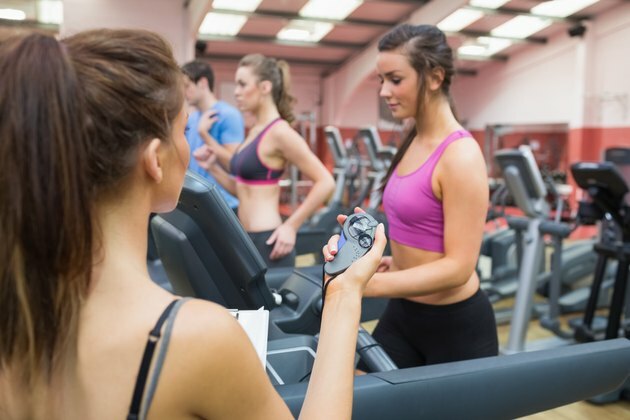 The Balke treadmill protocol can be used to estimate cardiovascular condition and endurance by measuring maximum oxygen uptake, known as V02max. You can undergo this fitness test at a slow pace, making it suitable for cardiac patients as well as healthy people. VO2max provides a measure of how well your circulatory and respiratory systems can supply oxygen and nutrients to your body during exercise. When you exercise, your heart works harder to deliver nutrients and oxygen, which are carried by the blood to your muscles. Also, your breathing rate increases to increase your oxygen uptake in the lungs. The higher your VO2max, the better your oxygen and nutrient delivery to your muscles, and the harder you can exercise. You can easily do the Balke test yourself. You need a treadmill and timer. You can also use a monitor to track your heart rate during the test if you desire. Start with a 10-minute warm-up on the treadmill or another exercise device if you prefer. Start the timer when you are ready to begin the test. Use a constant speed of 3.3 mph if you are a man and 3.0 mph if you are a woman. Begin the test by setting the incline at 0 percent. Increase the incline 2 percent after 1 minute and 1 percent thereafter every minute if you are a man and 2.5 percent every 3 minutes if you are a woman. Continue doing this as long as you can. The idea is to keep up the pace and increase the incline until you are exhausted and cannot continue. It is important you record your quit time since it is used for the VO2max calculations. After the test, evaluate your maximum oxygen uptake with a formula. For men the calculation is 1.444 x time + 14.99, and for women the calculation is 1.38 x time + 5.22. Use whole minutes and fractions in the formula, for example, 15 minutes 15 seconds would be 15.25. Repeat the test every few weeks or months of training. You should improve your VO2max as you train because your body adjusts to the training and improves your maximum oxygen uptake. Anatomy and Physiology; Gary Thibodeau, et al. American Heart Journal; Comparative Analysis of Physiologic Responses to Three Different..;M.L Pollock, et al. American Heart Journal; A Comparative Analysis of Four Protocols for Maximal Treadmill Stress Testing; M.L Pollock, et al.